Division worksheet drills with all of the facts, including remainders! Once the core division facts are mastered, an important part of developing a complete set of division skills is quickly recognizing remainders. This in many ways marries division skills with subtraction, and being able to perform these steps mentally will make the work performing long division much easier. 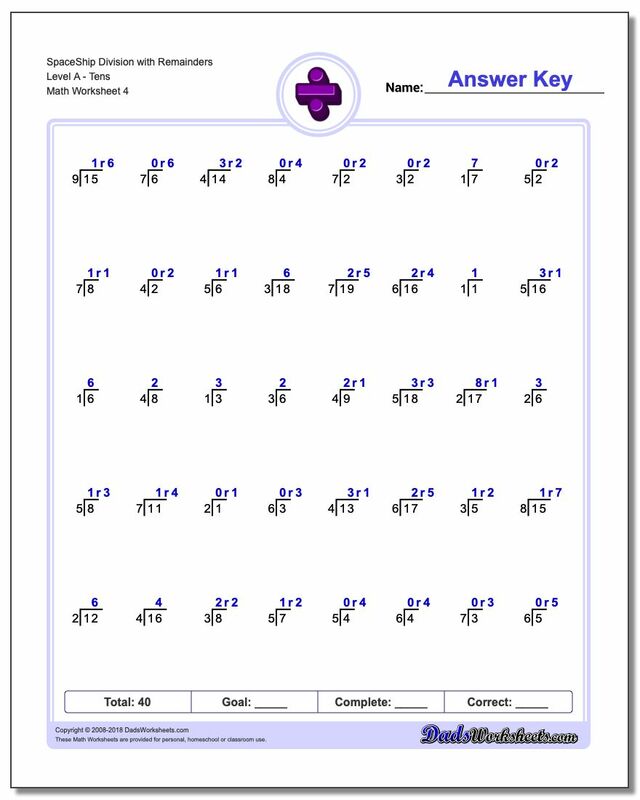 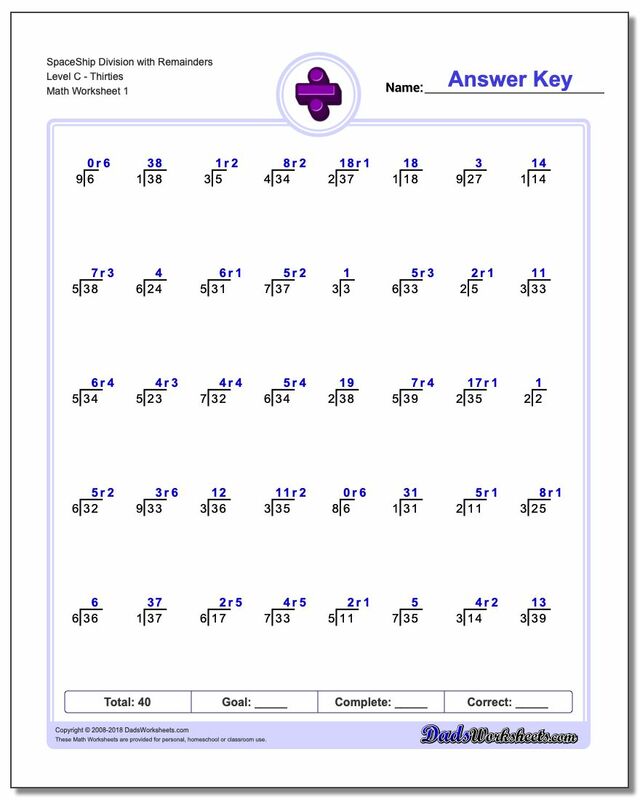 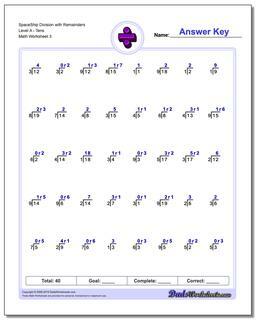 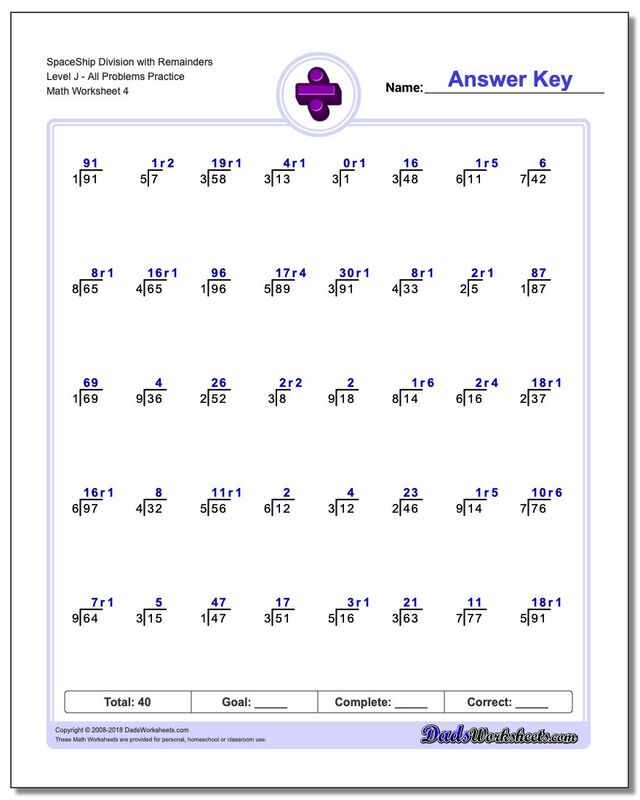 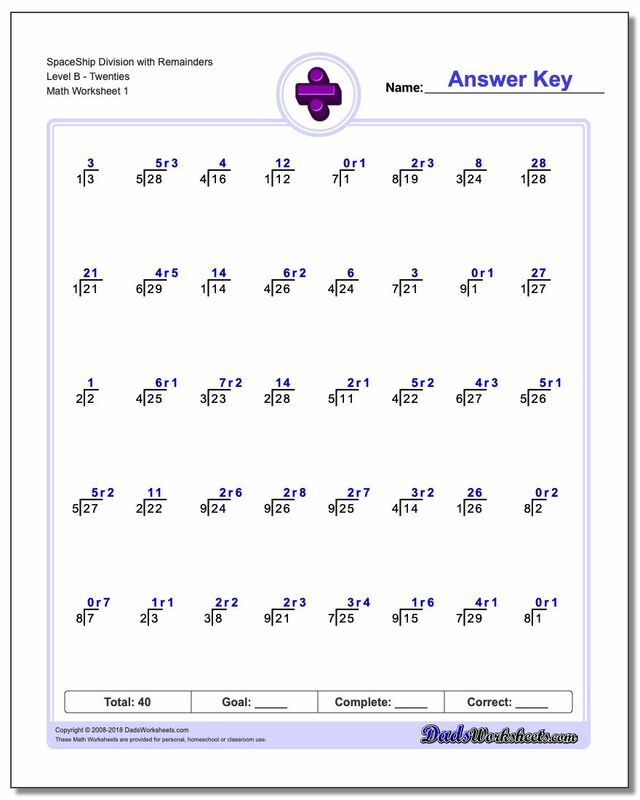 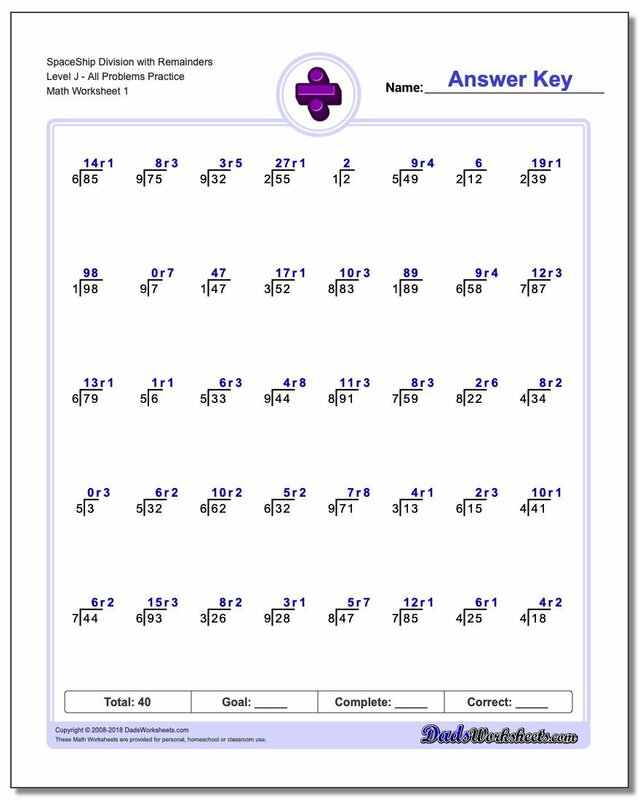 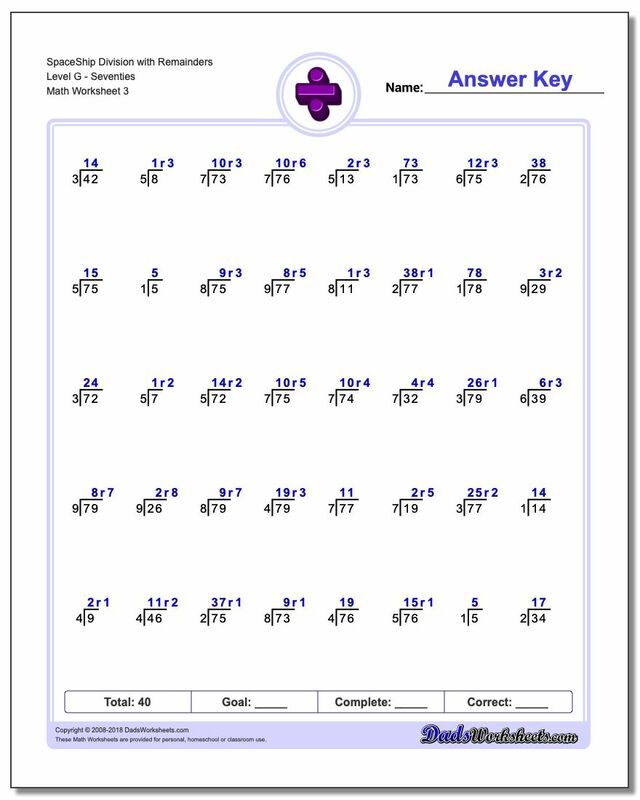 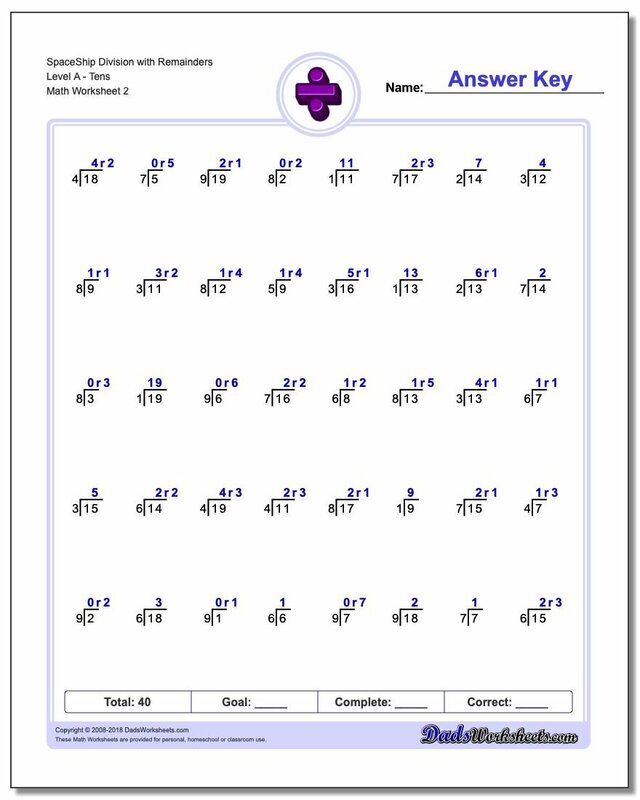 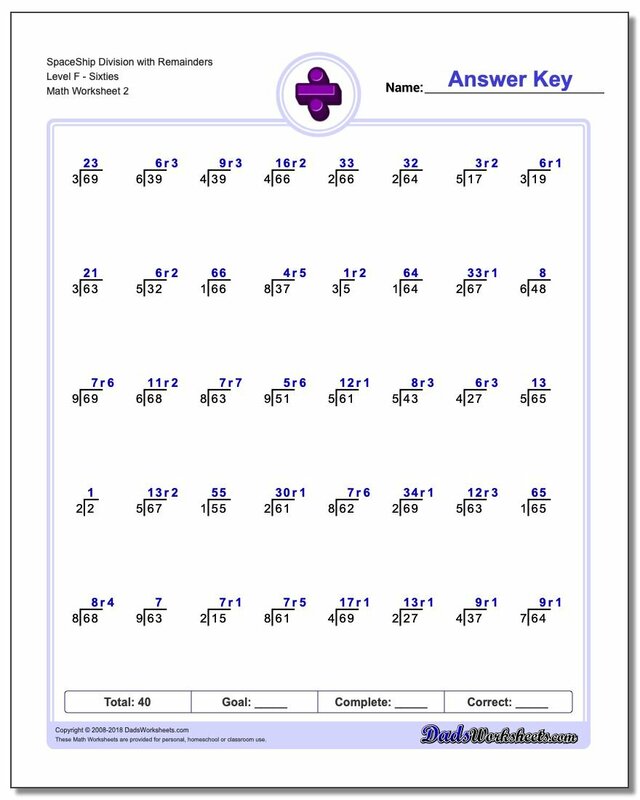 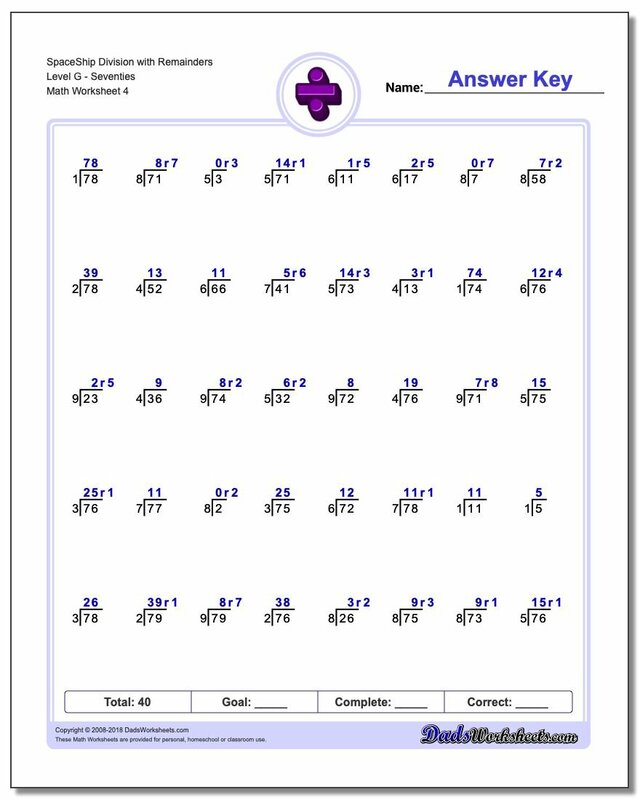 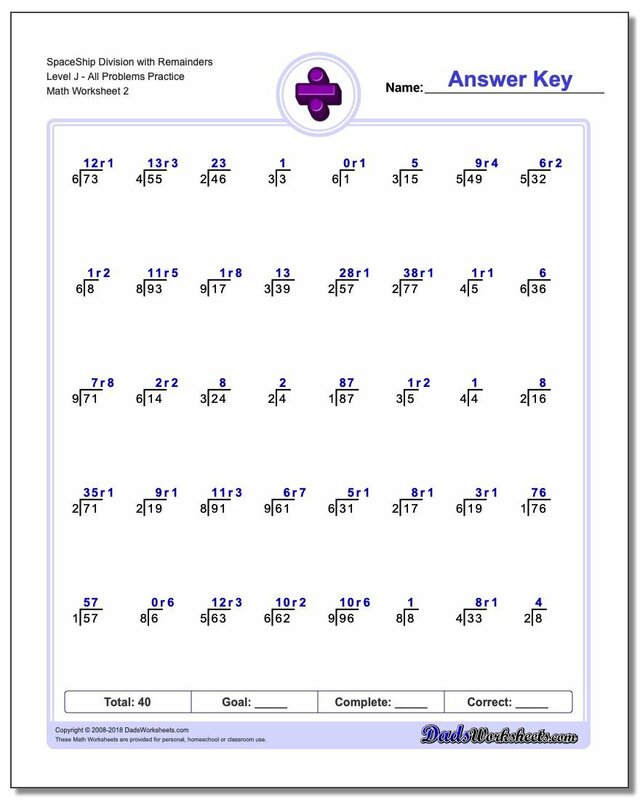 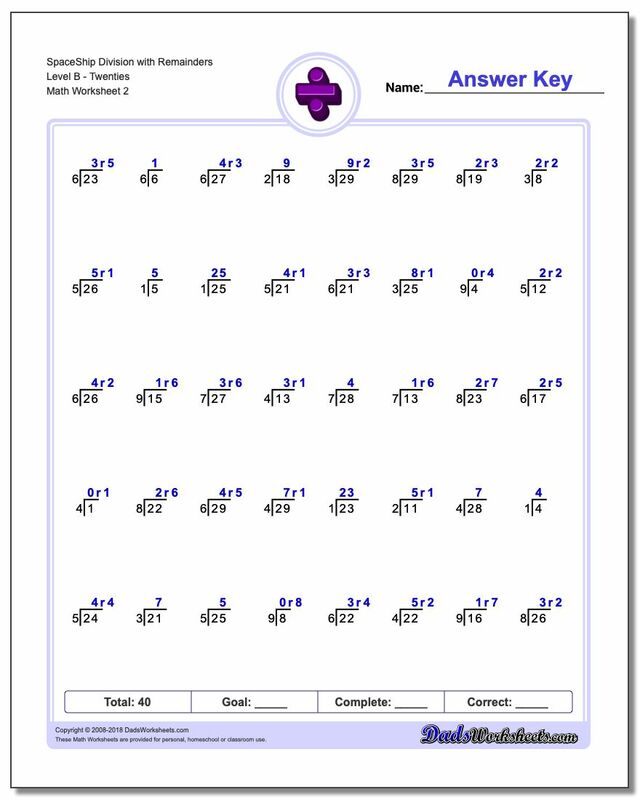 The worksheets in this set start with small dividends that have easy and obvious quotients with remainders, and progressing through the series introduces larger dividends. 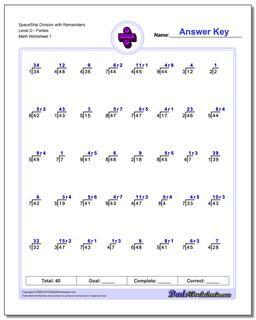 Whether practice with these worksheets develops a mastery of the process of quickly dividing and and finding dividends, or whether it leads to memorization of common division with remainder facts, the result will be an enormous competence in solving simple division problems and find the solution to larger long division problems.